JUKES JEEPS : The very best in Mudrats and four wheelers and it don't stop there ... ya might find any kind of cool car on here. As always I will be glad to provide more details, answer any questions or take additional pictures. Just drop me an email and I will send you a full description about any of these items along with more pictures. 1994 Camaro Black with black top 6 cyc engine 3.4 liter, transmission-auto, pwr drs, pwr win, 180.377 miles The interior is in fairly good shape. 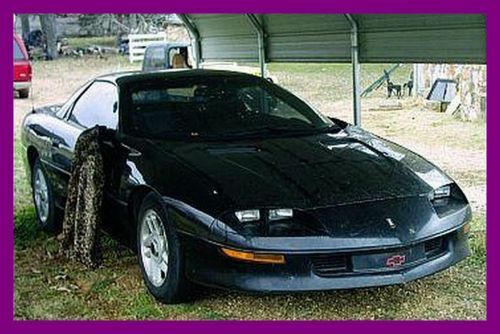 My Background with the vechile: Interested buyers should know this car is being sold "as is" ... I obtained it from a former tenant of mine in lew of back-rent. 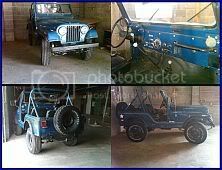 At the time he was working on it and told me that it needed a fuel pump ... it was partially running at that time and I parked under my cover carport until I decided to restore a Jeep and needed it to move it a few months back . I was also growing tired of strangers stopping by the house to ask if it was for sale. THIS IS A CLASSIC BLACK CAMARO ... in need of restoration. Again I cannot guarantee the problem is with the fuel pump only ... I have not had it personally inspected; but this is what I was told from the former owner. I will be more than happy to answer any questions regarding this car to the best of my ability. I don't think it would take much (although the fuel pump is hard to reach to get it up and running down the highway and with a new paint job and a few other adjustments it would be a killer ride. The TITLE IS CLEAR and I have it. FLAWS I SEE: This car is being sold as is ... needs a fuel pump, windsheld is cracked, the clearcoat is peeling around the car ... the body is in good condition ... I see no major damage or dents. Terms and conditions: This item is being sold "as is" unless specified. Please feel free to e-mail me with any questions. I am online pretty much 24/7 so any questions or such will be dealt with a quickness. $500.00 deposit non refundable through PayPal, within 48 hours of close of auction. I accept PayPal, Cashier Check, or cash. All funds must be clear before the car is picked up. Full payment MUST be made within 7 days of close of auction. The vehicle is sold “as is” condition with all faults, there are no warranties implied or written. Seller makes no representation or warranty with respect of the originality of any part of this automobile. Absolutely not refunds or returns. All sales are final. Seller is not responsible for any shipping costs or arrangements or damage during shipping. 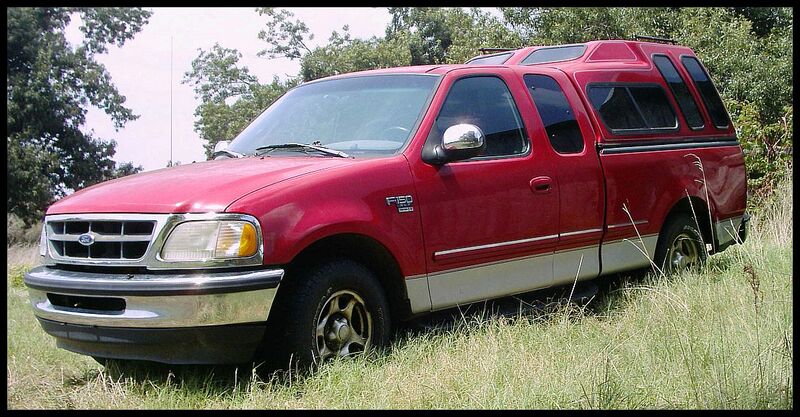 I will be glad to answer any questions as well as forward you a details email regarding this vehicle ! See my full page ad on this site for this awesome car ! 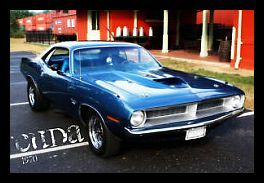 Beautiful 1970 Plymouth Barracuda (Cuda). This car was bought and restored, and boasts a huge list of commodities. The car is absolutely stunning and must be seen to be fully appreciated. It’s a southern car, living in Mammoth Spring, AR (72554). It has a Jeff Daniels (as seen in many issues of Mopar Muscle) built 496 Wedge engine pushing 640 HP with Jet Hot powder coated headers. 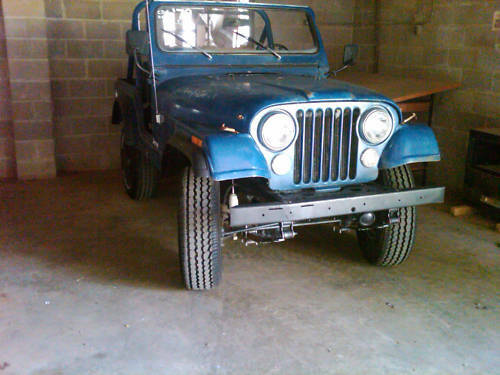 Is equipped with a $5,200 Keisler 4 speed auto OD stage 3 transmission. Has a custom Be Cool cooling system, Positrac, Vintage Air (a/c), and special Fiberglass TA hood (to accommodate engine size). There is only 1300 miles on this setup. Has electric powder coated cutouts, 3” exhaust. Rides on 215/70R15s up front, and 295/50R15 10” wheels on back. Interior and Paint (B-7 Blue) was completed in 2003, including new floor pans. ... color matches truck perfectly ! Has the very power TRITON V8 Engine ! Truck bed rubber lined ! This truck belonged to my father and I am selling it my mother. It has very low mileage ... aprox 50,000 and is a own owner truck. Dad didn't use this great truck very much ... most often to tow his Basstracker boat to Lake Norfork for some fishing. The inside is like brand new and the ($1000) CORVETT CAMPER was custom made for this truck and matches the color exactly ! There is some small damage. I will be glad to take additional pix or any answer any questions regarding this item . BUYER RESPONSIBLE FOR PICKUP !